Home // Hair oiling // Hair oiling methods. Which one will you choose? Hair maniacs constantly come up with new methods of hair oiling. If you did not try them out yet, you have no idea how much you have lost. Do not hesitate any longer and buy a cosmetic oil. Do not wait, just see for yourself how it works. Go ahead and choose your favourite hair oiling method. Hair oiling is one if the beautifying treatments that brings tremendous results. Every hair maniac has already done it at least once in their lifetime. The trend of hair oiling came to us from Asia. Surely, most of us would love to have strong and healthy hair just like Arab or Hindu women. What are the effects of such treatment? Hair oiling is recommended to all people, regardless of the length, structure, colour of the wisps. Regularly conducted treatment brings spectacular results. If you do it once a week, soon, you will notice that the condition of your hair is greatly improved. Using an appropriately chosen oil can prevent hair loss, change its porosity and improve the condition of scalp. Additionally, oiling also allows to provide the inner structures of hair with large amounts of nutrients. Therefore, not only your appearance will benefit from that. 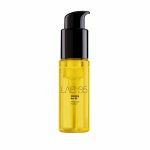 Vitamins and minerals contained in oils, regulate the work of sebaceous glands, helo fight dandruff, facilitate blow-drying and combing. There is a variety of hair oiling methods, such as: on dry hair, using a hair mist, conditioner, oiling in a bowl, spray oil serum. What is the first method like? Oil must be applied on dry hair, a few hours before washing. You might as well apply the product before going to sleep and wash it off in the morning. Remember to cover all your strands evenly and, if you want, coat your scalp as well. It is said that this method brings the best results. It works perfectly for people with who have normal hair or slightly dry ends. Oiling wet hair is a very similar method. In this case, before the application of oil, dampen your hair. You can use plain water or a herbal brew. Right after the treatment, your strands will be resilient, smooth and full of shine. hair oiling with a mist is another convenient way of care. Choose a mist which contains moisturising ingredients, such as: aloe vera, hyaluronic acid or royal jelly. Spray a generous amount of the mist all over your hair and then apply oil. Do the same steps when it comes to wet hair oiling. What is more, you might as well use your favourite conditioner instead of the mist. Make sure to select a product without any silicones that would prevent the penetration of nutrients inside your hair. Both oiling with a spray or a conditioner brings amazing effects. Your hair and scalp are provided with active substances, vitamins, minerals contained in both the cosmetic and oils. 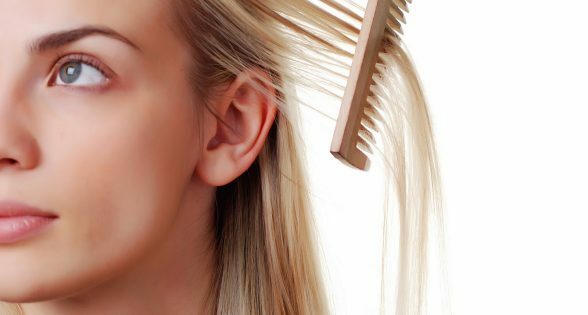 Another hair oiling method is based on soaking your hair in a bowl. You must combine warm water and oil, however, remember to adjust the amount of oil to the density and thickness of your hair. What is more, make sure to evenly cover up your entire hair Next, get rid of excess liquid and wrap your strand in a towel. Wash your hair with a gentle shampoo after about an hour. It would be best if you allow your wisps to air-dry. Moreover, using and oil serum is another brilliant method to regenerate your strands. To prepare such cosmetic you must mix your favourite cosmetic oil with water and a mask or hair conditioner. It is best to combine all ingredients in the proportions of 1:1:1. Of course, feel free to alter the dose and components. Next, pour this well blended mixture into a container with an atomiser. Now, simply spray the product all over your hair. Give it about an hour to work and then wash everything off with a gentle shampoo.